From the makers of the breakout womens quotation anthology Beautifully Said comes Grit & Grace, a collection of timely quotes, stories, and advice from contemporary female leaders. Grit & Grace is a collection of quotes, thoughts, and advice from female pioneers to inspire young girls and women who want to lead. With powerful words from powerful female forerunners, Louisa May Alcott and Susan B. Anthony have inspired girls and women for generations, there are now more women leading the way in more industries than ever. 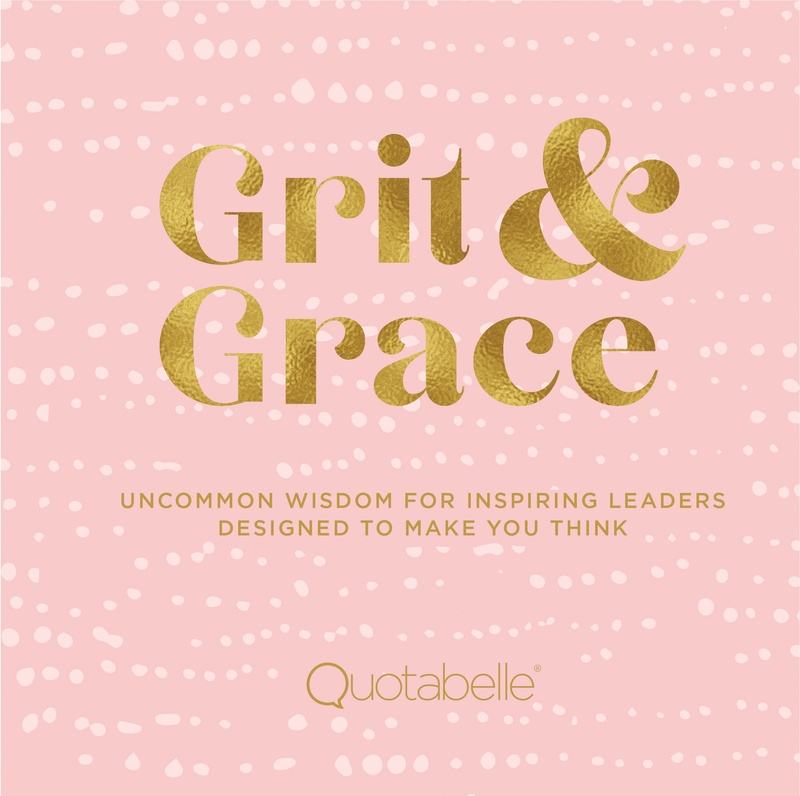 From the authors of the breakout inspirational book Beautifully Said comes Grit & Grace, a showcase of the brilliant minds, sterling careers, and hard work of women in both well-known and less-visible roles in society. Grit & Grace is here to inspire young girls and women to pursue their dreams with fearlessness and determination by featuring classic and modern female leaders like Jessica Alba, Courtney Banghart, and Tiffany Dufu. 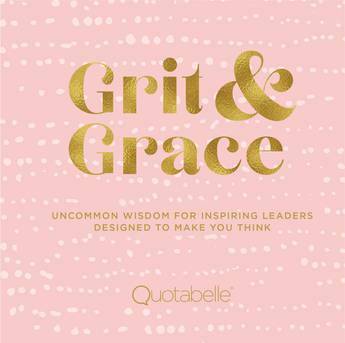 The perfect gift for sisters, daughters, nieces, friends, new graduates, and any other free-thinking young woman in your life, Grit & Grace uses the strengths and successes of today's women to drive a generation of future leaders to make their talents count. Future female idols, look to Grit & Grace for inspiration as you lead the way. Quotabelle designs smart, distinctive products that introduce female role models to the world; from family rooms to classrooms, offices to boardrooms, studios to sports fields, in print and online. The company is solving a quote supply problem uncovered through research—that less than 15% of the millions of quotes shared every day are by women and girls. Most quotes are unsourced, many are misattributed. Very often, quotes shared are written or said by the same visible few. Working with female writers, researchers, designers and craftspeople, Quotabelle is adding missing voices back into history and ensuring remarkable women and girls aren’t overlooked going forward.